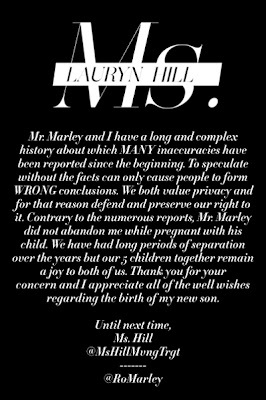 Out of character, Lauryn Hill took a moment to address the chaos/rumors surrounding her personal life. She usually just lets people think what they want, but this time she took to her twitter account to set the record straight with her fans. HELLO & ENDCALL!